Instrumental Music & Sound is the most trusted provider of quality instruments and expert sound installations since 1981. 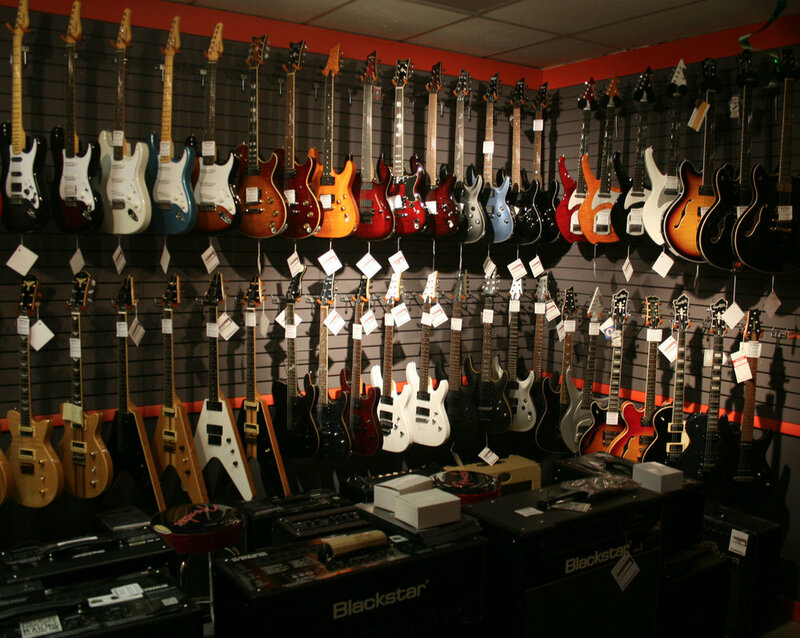 At Instrumental Music & Sound, we only stock products from suppliers that we trust. 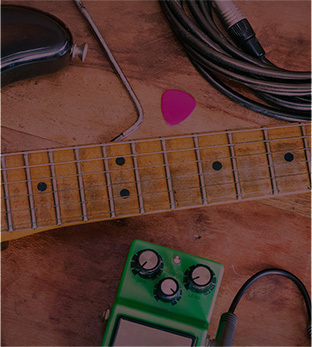 When you visit, you’ll find a comprehensive selection of high-quality electric and acoustic guitars, amps, violins, mandolins, banjos, ukuleles and assorted hybrids, as well as digital pianos and keyboards, acoustic and electronic drums, cymbals, sound systems and microphones, and related accessories. Don’t want to buy a sound system? Consider one of our short-term rentals. Need a repair on an instrument or electronic equipment? If we can’t do it, we know who can. Layaways and financing are available year-round. We’re committed to giving you the best prices we can and stand by what we sell. We like to encourage people to ask questions and take their time when making a purchase. 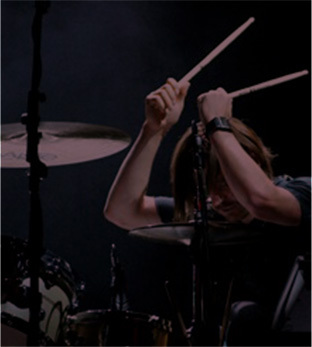 Customers usually find that our selection of instruments and sound gear far exceeds their expectations. We like to be the pleasant surprise in their week. In addition to retail services, we also design and install sound systems for offices, churches, schools, theaters, and businesses. 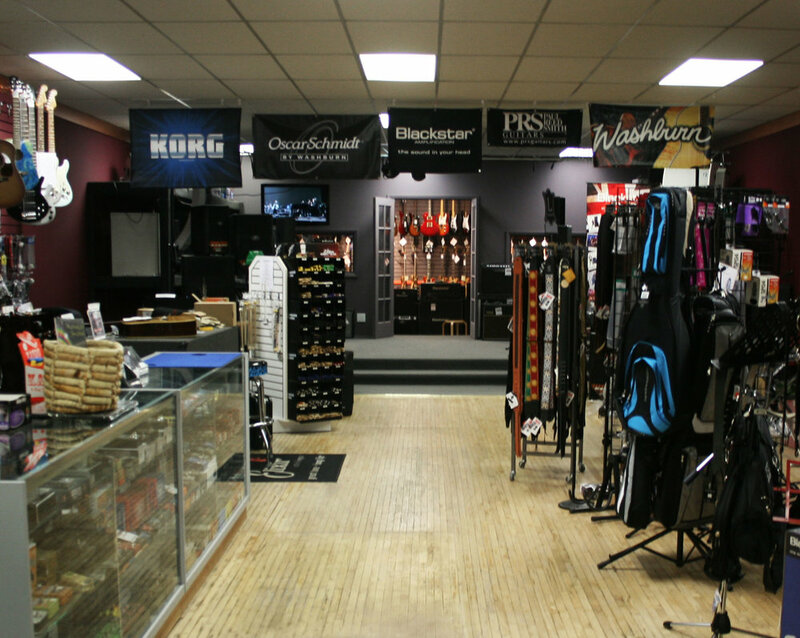 Occasionally, we host local bands by providing them with a performance venue inside the store. Want to play for your friends? Let’s make it happen. 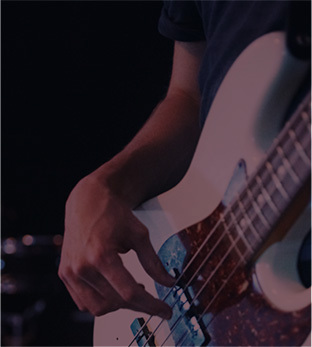 We teach guitar, bass guitar, piano, and vocal lessons. We also have contacts for teachers of many other instruments. From the newest beginner to the expert, we can help. Amazing store! Great staff, very helpful and knowledgeable. Competitive prices and an amazing selection of brands and products. Limited stock available online. Shop the full collection in store. We have over 35 years of experience installing sound and video systems in churches, schools, offices, concert venues and more. We consult with our clients to offer options that will fit their needs as well as their budgets. 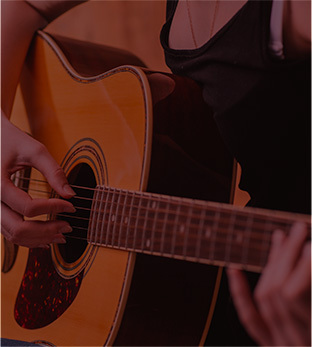 We offer lesson packages from beginner to advanced on the guitar, piano and voice. Typically, half-hour lessons are scheduled for the same time each week, although special scheduling can be worked out with your personal instructor. We carry leading brands in quality instruments and sound production. American DJ, Audio Technica, Aquarian, BBE Sound, Blackstar Amplification Charvel, Digitech, Eden Bass Amplification, Electro-Harmonix, Electro-Voice, EMG Pickups, Ernie Ball Music Man, Fishman Acoustic Amplification, Godin Guitars, Gretsch, Hal Leonard, Hosa Technology, Hoyer, JBL, Korg, La Patrie, Larrivee, Levy’s Leathers, Luna Guitars, Madarozzo, Midas, MXR, Oscar Schmidt, Peace Drums, Peavy, PRS Paul Reed Smith Guitars, Quilter, Sabian Cymbals, Schecter, Seagull, Seymour Duncan, Shure, Supro, Tama, TC Electronic, Tech 21 NYC, Washburn Guitars, Yamaha, Zildjian.